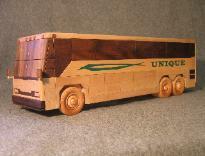 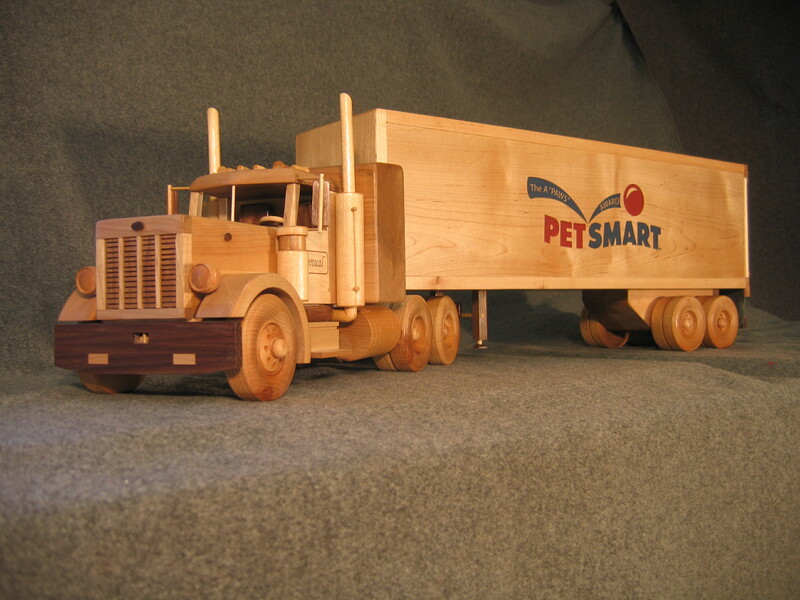 maple and walnut, each vehicle has an extensive list of details on both interior and exterior. 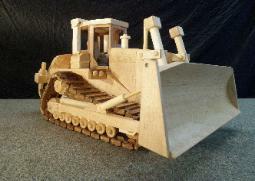 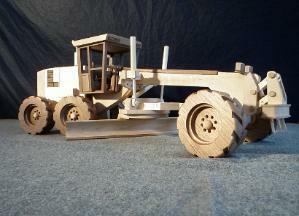 models (Back Hoe and Bulldozer). Dozers, Mack Dump trucks, Kenworths with a van trailers and John Deere Tractors. 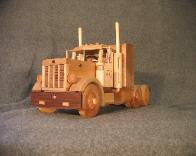 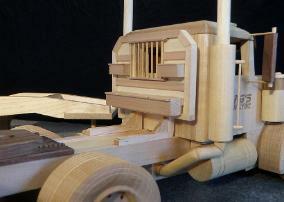 of your rig or machine and we will discuss how to reproduce it in wood. Some recent Executive Trucks - complete with color laser engraving. 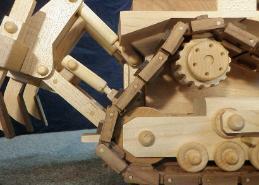 A vital piece of machinery in any construction or landscaping trade. 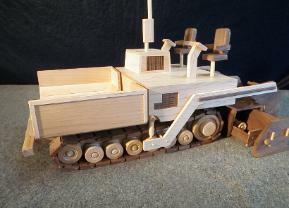 Features include: grooved walnut rear wheels, a front bucket system that moves up and down and even dumps, a rear shovel system that mimics a real life backhoe,realistic hydraulic systems, a drivers seat that swivels, and many other special details. 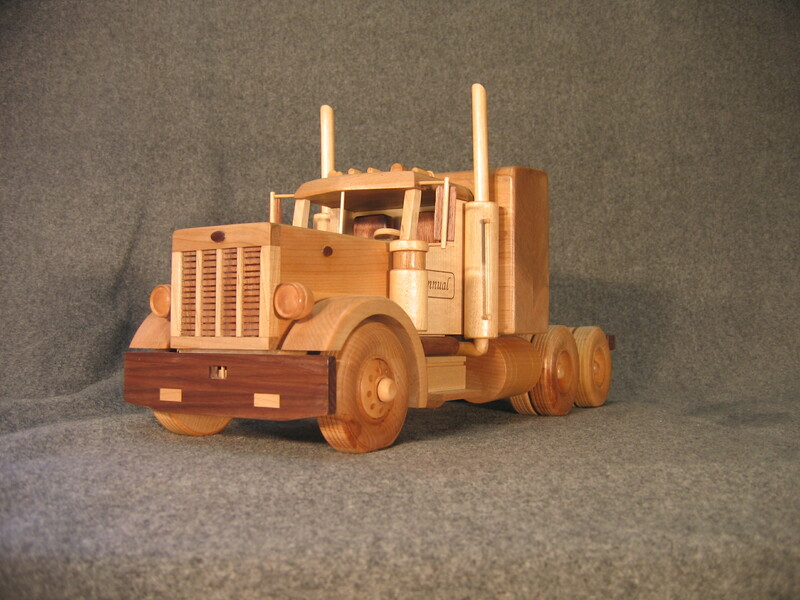 Constructed of maple, cherry, and walnut hard woods. 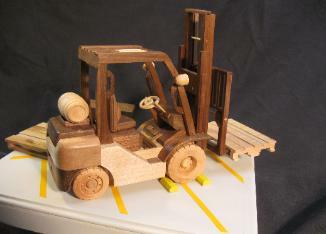 Details include: clutch, gas and brake pedals, realistic engine components, headlights, walnut seat, walnut radiator, and realistic treads on the rear wheels. 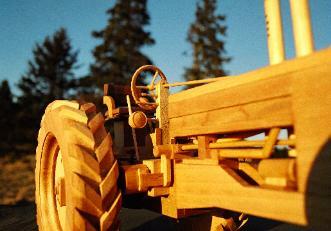 Finished with hand rubbed Danish Oil.The detail shown in this tractor is a tribute to the American farming heritage.